Pepper Pot is a terrace cafe located on the second floor of a gym, offering a bird’s eye view of Gurgaon! The café specialises in serving a healthy range of Continental and Italian food. After hearing quite a few reviews, we were tempted to try the café out ourselves and faced some hits and misses here. The décor is beautifully done with fairy lights, coffee tables and vibrant graffiti on its yellow hued walls. 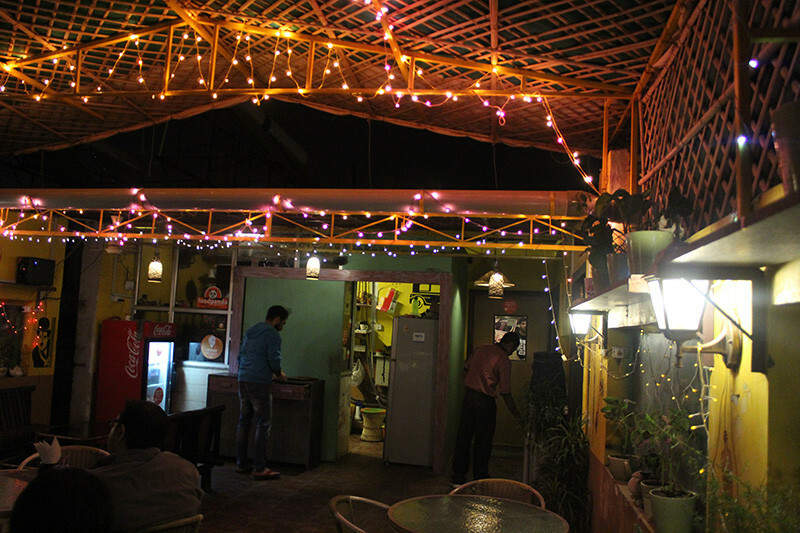 The café has a huge terrace and a small indoor seating area, with a very homely feel to it! You can sit here for hours and chit chat with friends or cosy up with your favourite book, prices too are very reasonable and won’t burn a hole in your pocket so full points for that. We started by ordering their fresh juices, Hangover and Heart Attack. Both the juices were freshly made with real fruits and vegetables. High on taste and high on the health factor! We came to know that the don&apos;t use any artificial flavours or colours, just pure goodness. 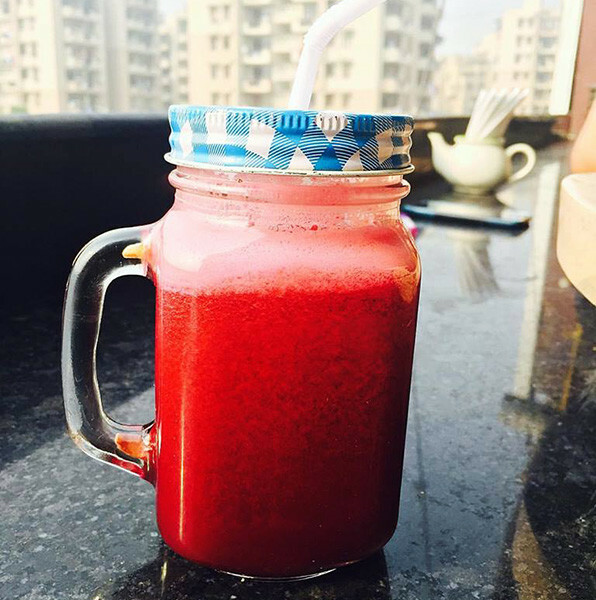 Their juices were an instant hit and we definitely recommend you to try them. 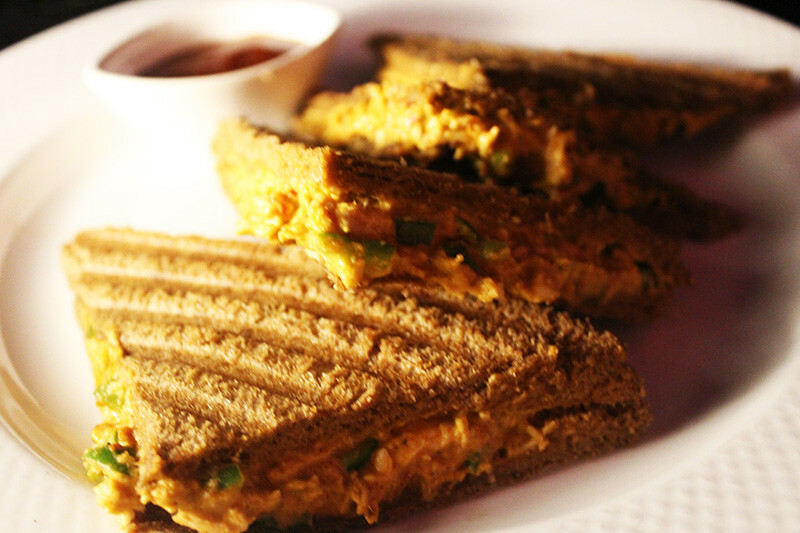 The café has a huge range of grilled sandwiches starting from just Rs. 69 and not going above Rs. 159. After a lot of speculation we settled on ordering the Chicken Tikka Sandwich. Now we were expecting the usual chicken tikka obviously because of the name but to our disappointment we found pulled chicken with an achari flavour to it. Their burger section too was quite extensive and so we went in for the Hulk Chicken Burger. To start of, there was nothing hulk like about the burger, it was actually really small in contrast to its name. 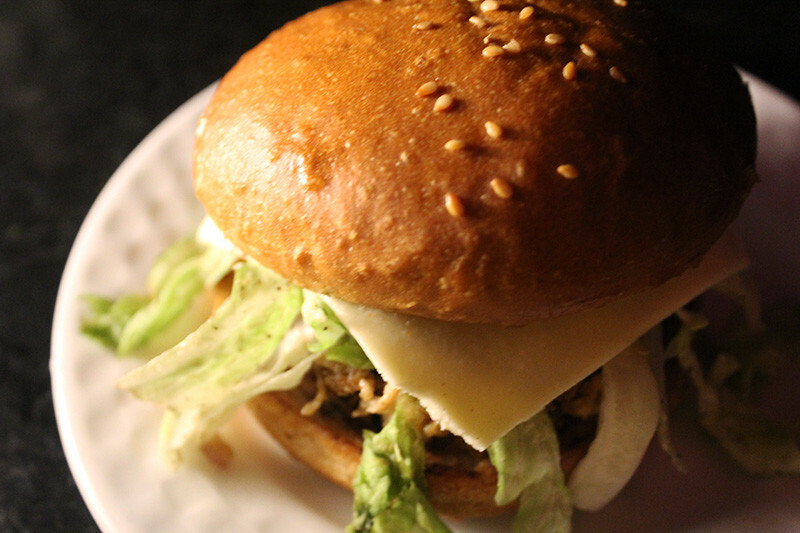 The chicken patty used in the burger was made in-house and was actually pretty delicious, upon that was resting a lettuce leaf which had gone soggy and looked a little off, so we got the burger sent back however the second time, it was good. This was the best thing we had there, nothing too fancy - just simple chilli garlic noodles, like the ones available at various hawkers in town! 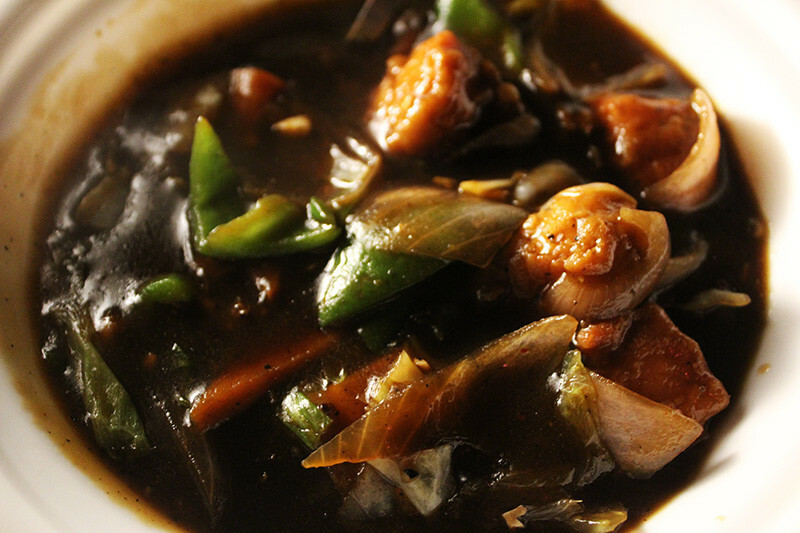 Both the dishes were brought to us hot and fresh, full of desi Chinese flavours. The Chilly Chicken was soft, moist and every bit succulent. 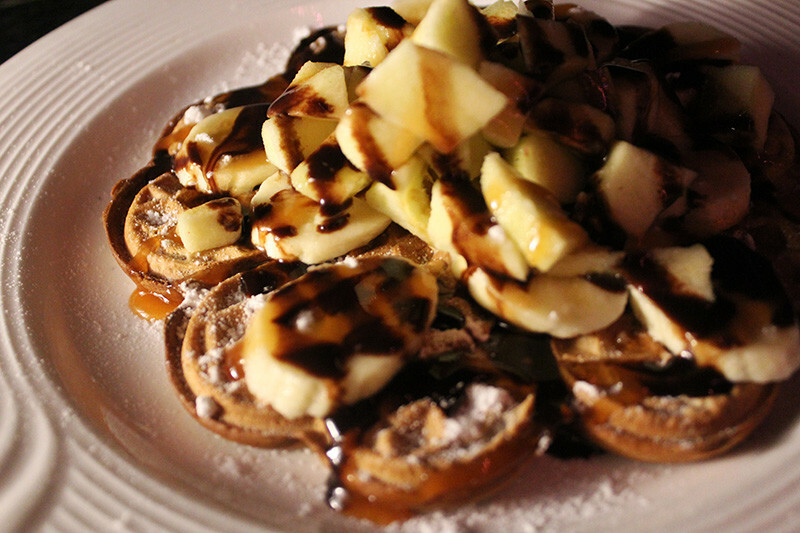 We cannot stress it enough that this was perhaps one of the worst waffle we&apos;ve ever had! It was so hard and rock like that it was impossible to cut with a knife. A decent waffle is supposed to be soft, billowy and yet crunchy, this was nowhere near that. A strict no-no and we&apos;d say, stay away from their waffle section. Overall the café has a great view and décor but in terms of food, we&apos;re not too sure! Here&apos;s hoping the next time we visit the place, it&apos;s a better experience.